3 Million Volt Ladies Stun Gun for Just $9.96! Shipping is FREE! You are here: Home / Great Deals / 3 Million Volt Ladies Stun Gun Just $9.96! Ships FREE! 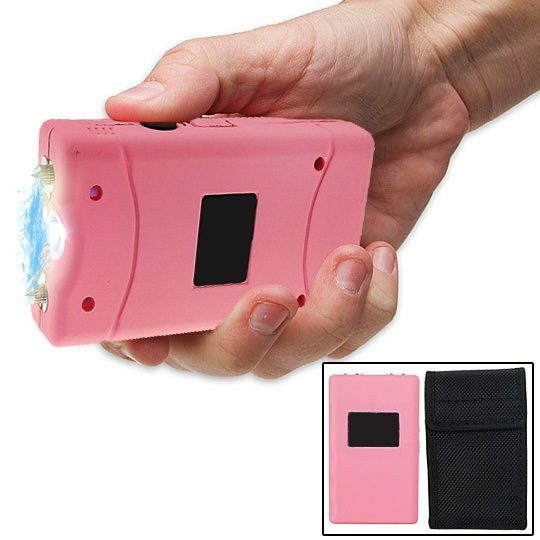 3 Million Volt Ladies Stun Gun Just $9.96! Ships FREE! Keep yourself safe! Order the 3 Million Volt Ladies Stun Gun for Just $9.96! Shipping is FREE! Just test firing this unit into the air is often enough to stop an attacker. As the bright electric current pulsates between the test prongs and creates an intimidating electrical sound an attacker with any sense at all will be stopped in his tracks. If the sight and sound doesn’t stop him a jolt from this stun gun certainly will bring an attacker down in just 2 seconds!